ISS043E190604 (05/13/2015) — SpaceX’s Dragon cargo capsule is seen here docked to the Earth facing port of the Harmony module. SpaceX’s Dragon cargo craft splashed down in the Pacific Ocean at 12:42 p.m. EDT, about 155 miles southwest of Long Beach, California, marking the end of the company’s sixth contracted cargo resupply mission to the International Space Station. The spacecraft is returning more than 3,100 pounds of NASA cargo and science samples from the International Space Station. A boat will take the Dragon spacecraft to a port near Los Angeles, where some cargo will be removed and returned to NASA within 48 hours. Dragon will be prepared for a return journey to SpaceX’s test facility in McGregor, Texas, for processing. 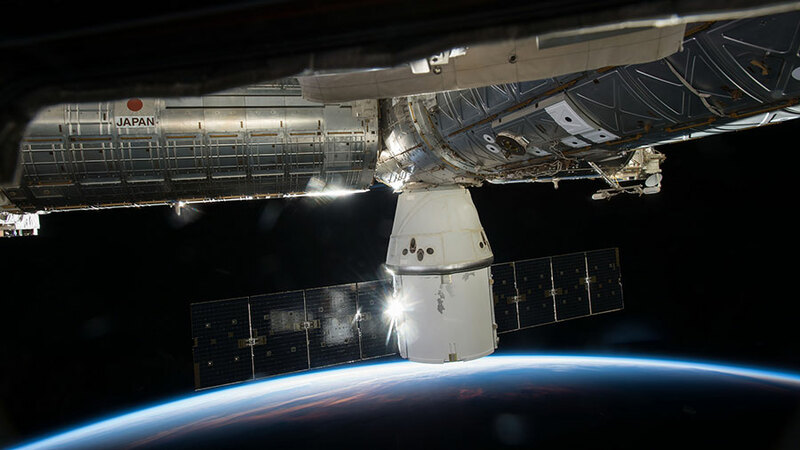 The mission was the sixth of 15 cargo resupply trips SpaceX will make to the space station through 2016 under NASA’s Commercial Resupply Services contract.